East Timor President Jose Ramos-Horta has admitted defeat and congratulated his rivals after the first round of the country's presidential election. Mr Ramos-Horta said he would hand over power to the winner on 19 May. Opposition leader Francisco Guterres and former guerrilla leader Taur Matan Ruak were ahead after at least 70% of the votes were counted, based on data from the election commission. The two candidates face a run-off on 21 April. The electoral commission is still counting the votes and has yet to announce the final results. So far, Mr Guterres has a narrow lead over Mr Ruak, with Mr Ramos-Horta trailing in third place. "I congratulate the two candidates who continue into the second round," he said at a news conference. 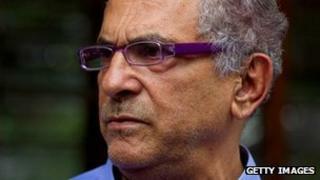 Mr Ramos-Horta, a Nobel peace prize winner, has been a key figure in East Timor politics since 1999. He defeated Mr Guterres in the 2007 run-off after coming second in the first round. He served as foreign minister, prime minister and eventually president from 2007. The presidency is a largely ceremonial role, but the election comes in a year of security transition, with UN forces scheduled to leave by the end of the year. East Timor gained independence in 2002 after three years of UN administration, which followed more than two decades of bloody guerrilla warfare during Indonesian rule. Twelve candidates took part in this election.